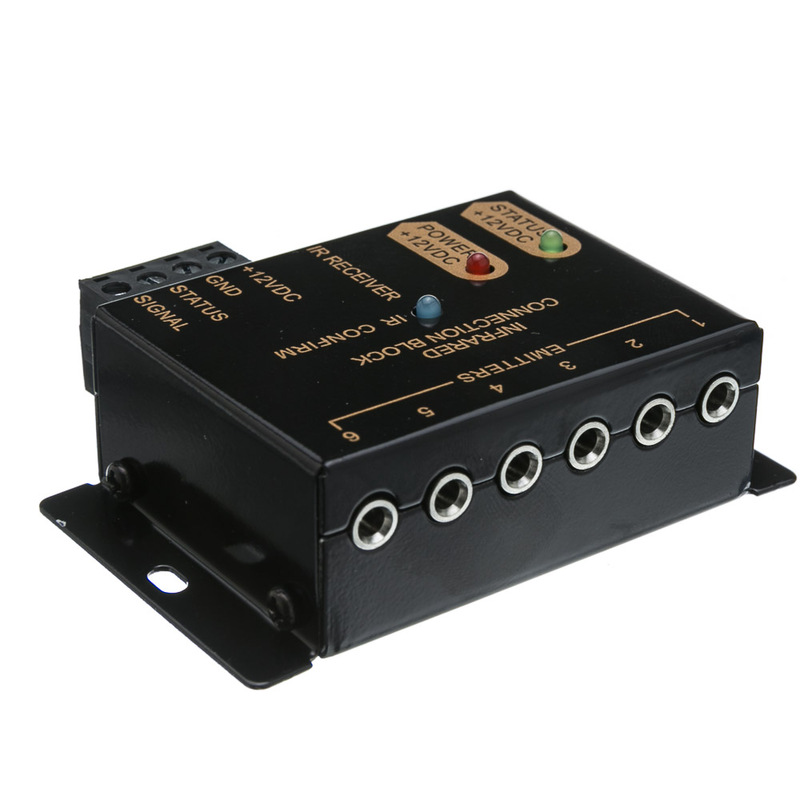 This block is designed to accept either a 3.5 or a twisted pair type connection to send signal to the 3.5 emitters. A maximum of 6 emitters can be connected to this block. 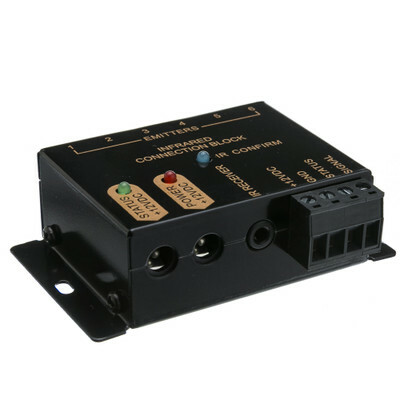 Compatible with part number 303-100, 332-100, 332-500, and 332-600 emitters and receivers. 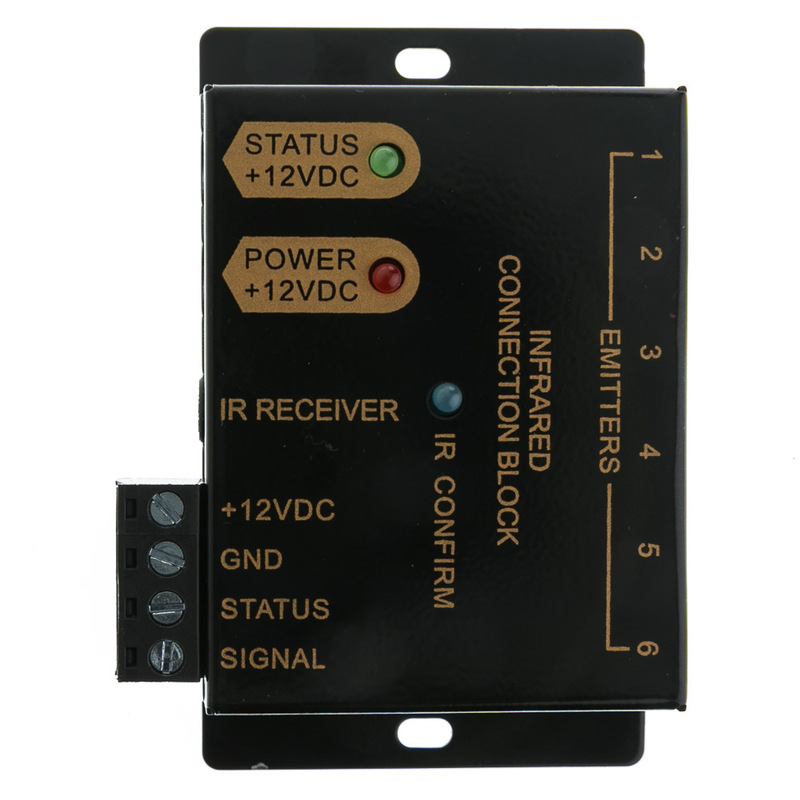 needed to route a single IR transmission to multiple devices and this product does it well when coupled with the IR emitters.